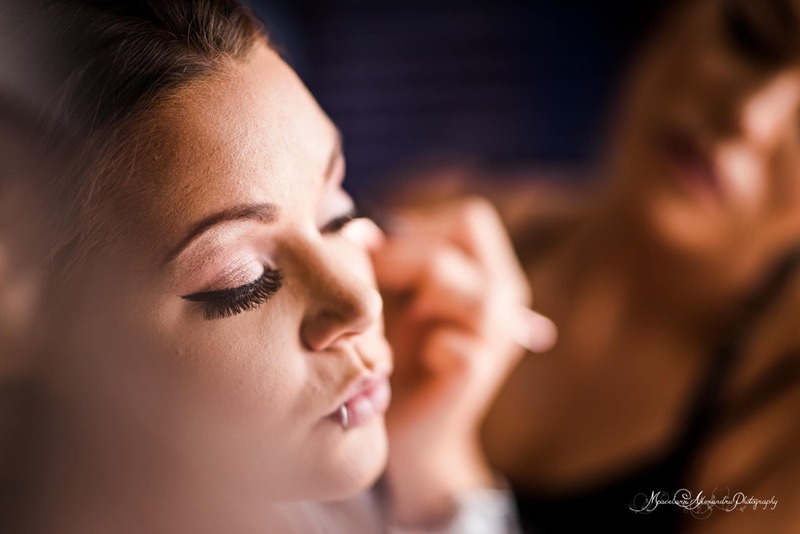 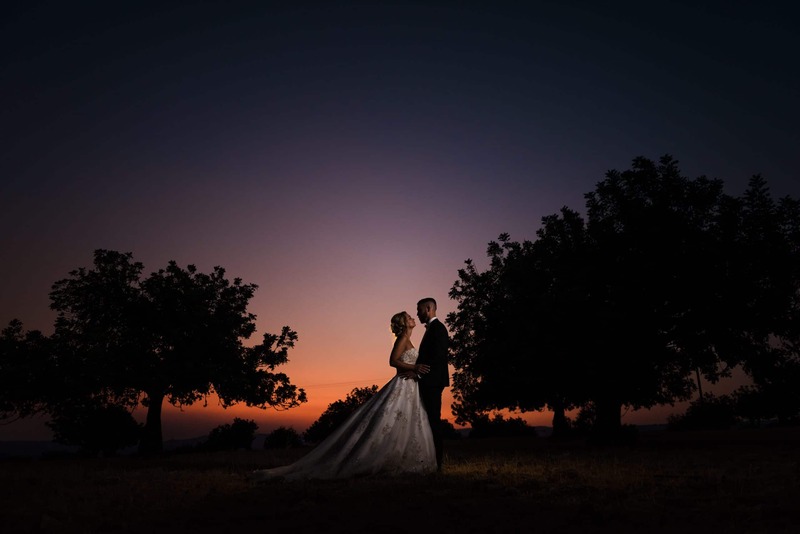 The beautiful wedding of Amy and Matt reminded me why I truly love wedding photography in Paphos. 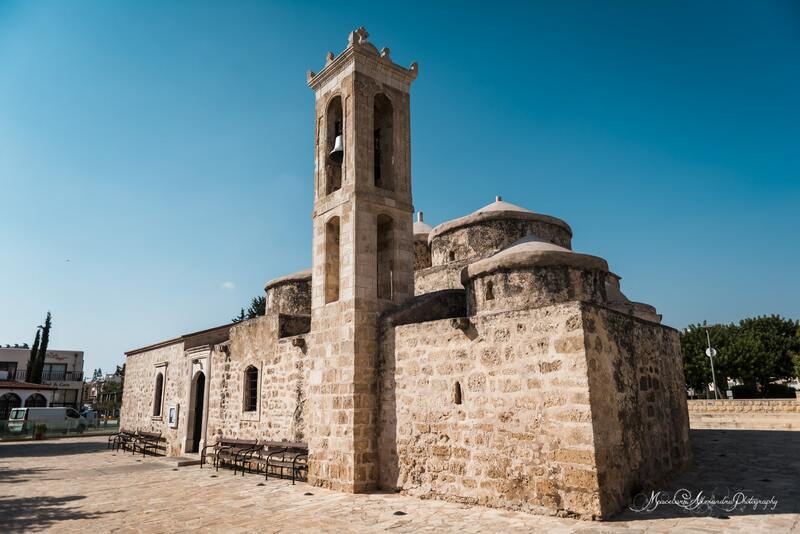 We all grow up in different ways and our character is shaped based on our traditions and way of life and values that are inherited from our parents, one thing that I really love about Cyprus is that here the line that draws the differences between cultures is almost non-existent, here we are free to be who we are deep inside us, people that share one common objective happiness and Amy and Matt are the perfect example. 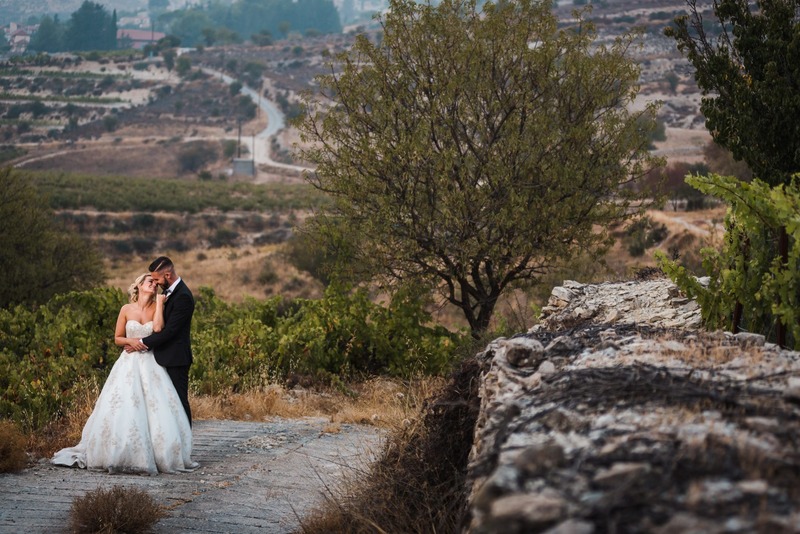 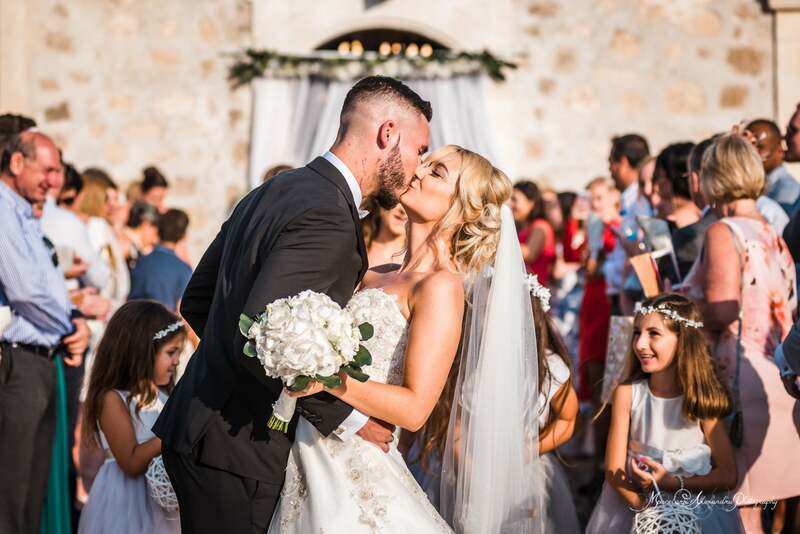 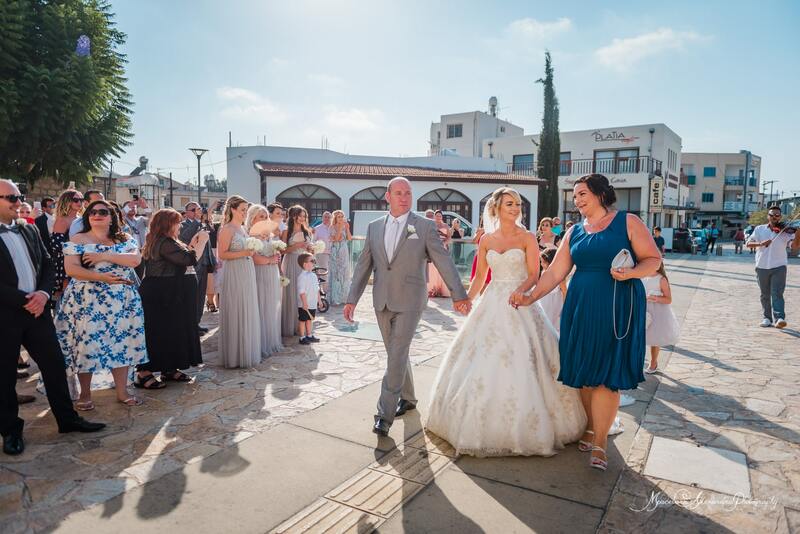 The love story of Amy and Matt has its roots here is the beautiful city of Paphos, the place where Aphrodite the ancient goddess of love rise from the seas and probably the best place for a new couple to say their vows and promise eternal love one another. 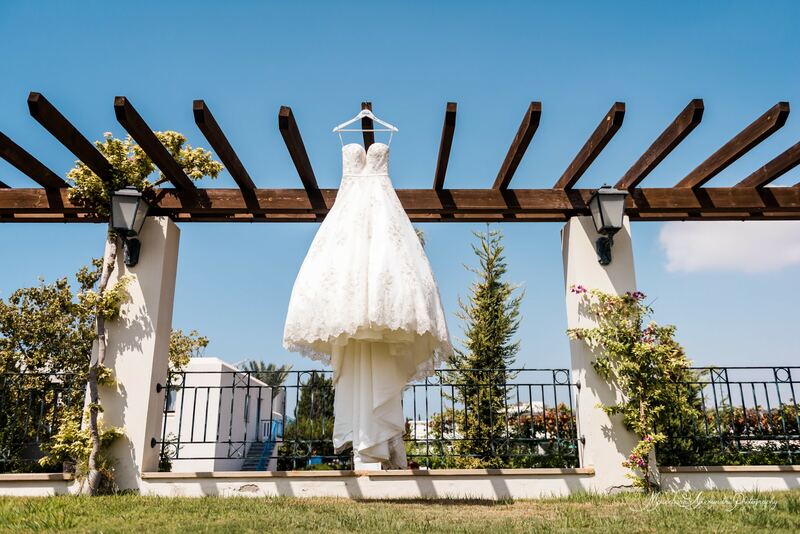 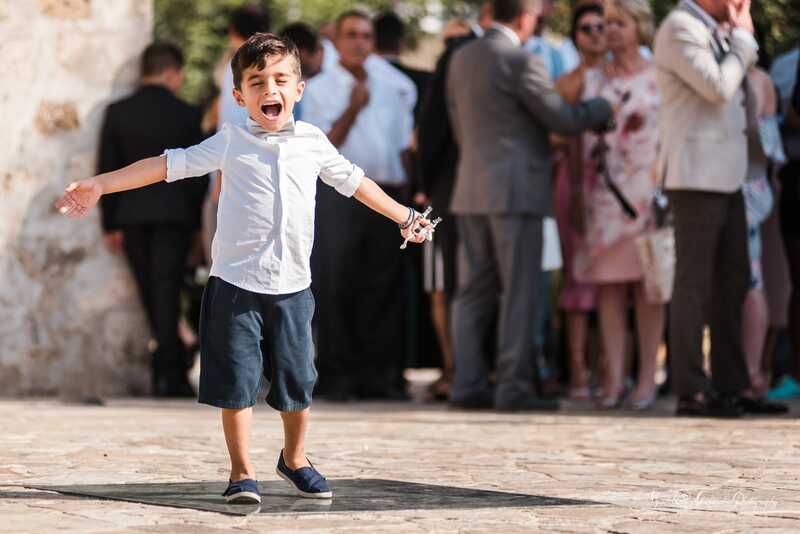 And yes, I almost forgot, one of my favourite places as a wedding photographer in Paphos. 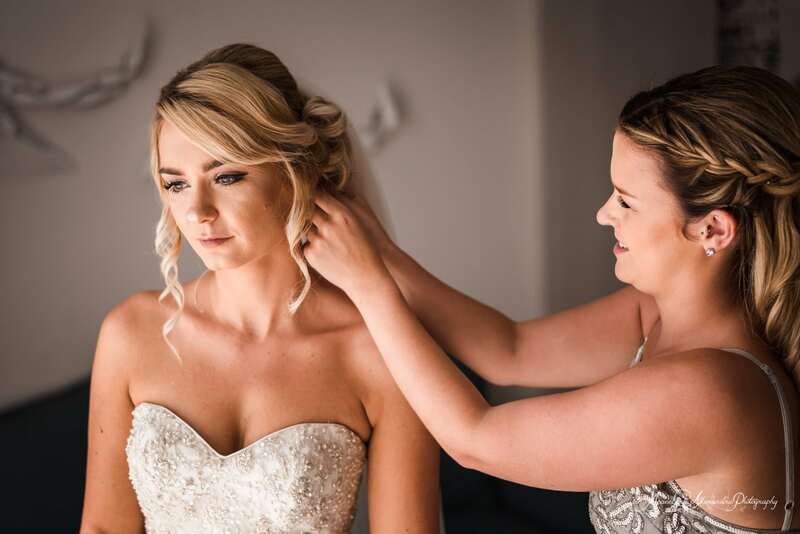 I had the honour to be part of the most special day in Amy and Matt’s life and I have spent not one, but two days with this beautiful couple documenting the happiness the pure joy and emotions that they and their closest friends and family have experienced during their wedding. 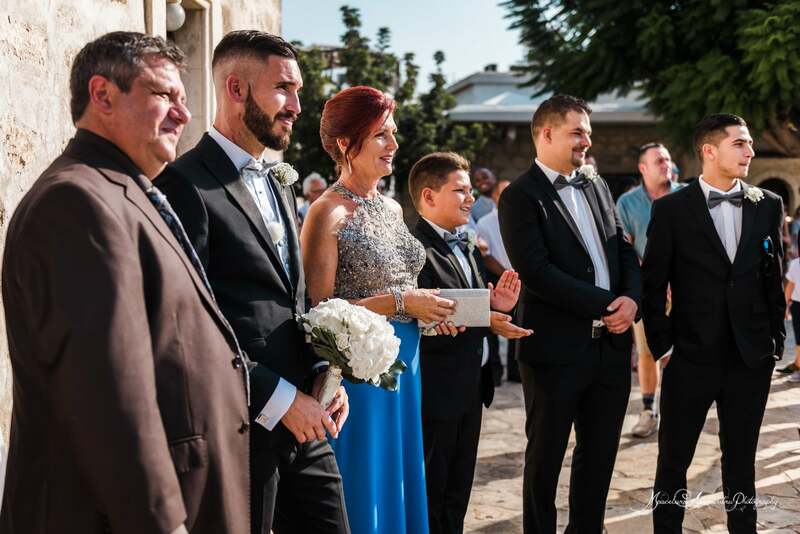 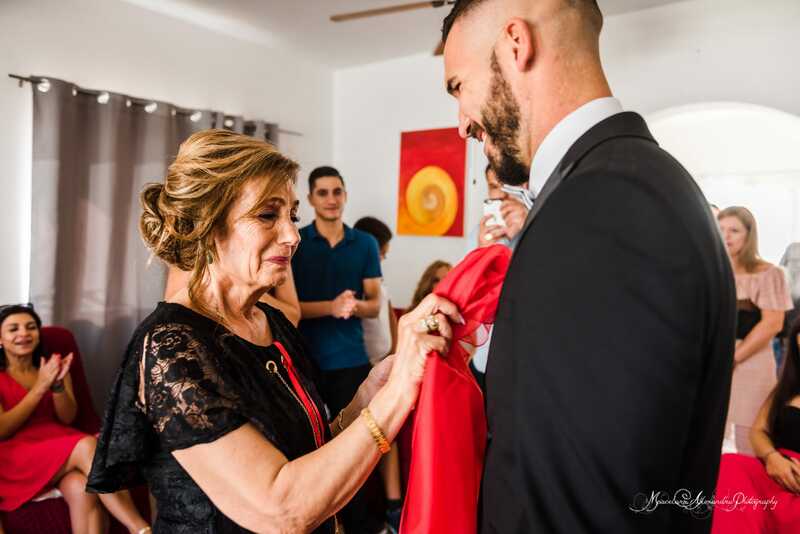 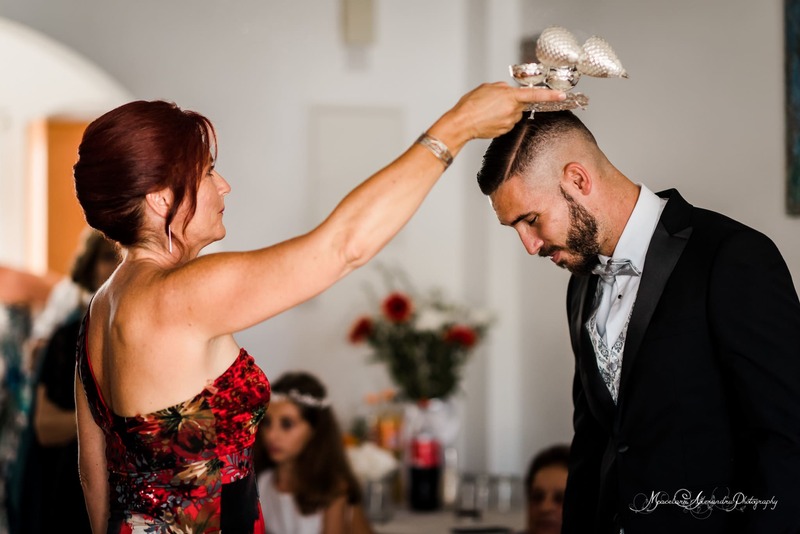 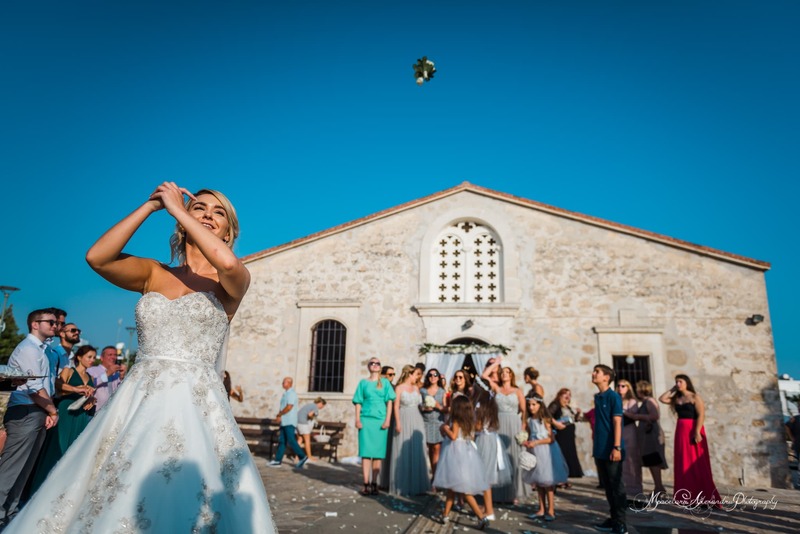 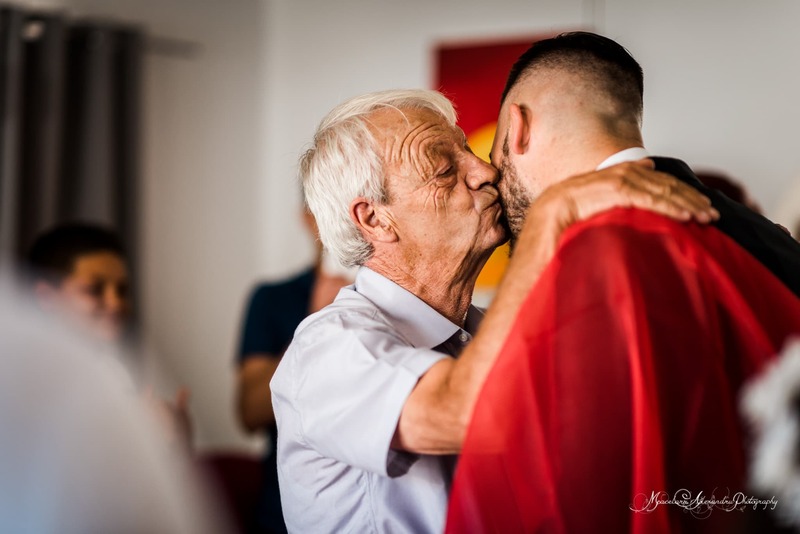 It was a flawless harmony between two traditions, Greek-Cypriot and English, when I arrived at Matt’s house friends and family were all there. 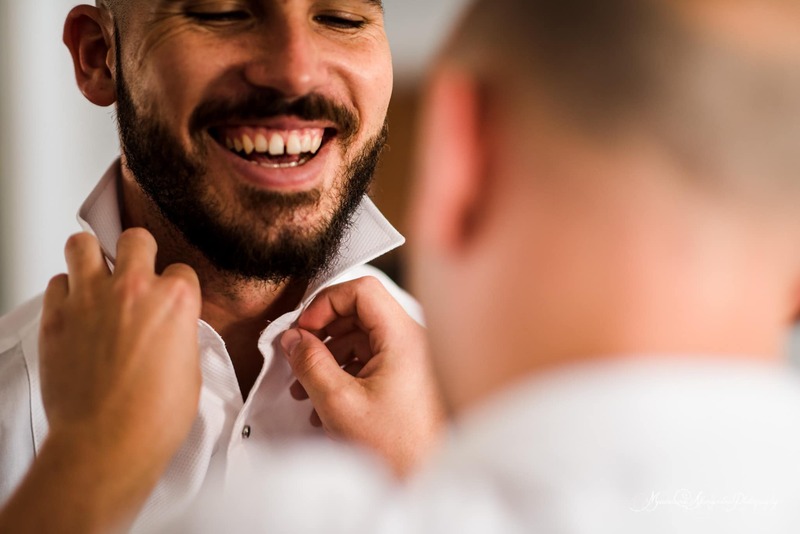 In the Greek-Cypriot tradition the Best Man or koumbaros, will shave the groom on the morning of the ceremony to signify trust before friends and family step in to help to dress him while musicians play and sing, I was mesmerized by the beauty and the overall feeling, I could not stop taking photos the moments where unfolding everywhere, tears of happiness, smiles, laughs, kids playing and even a cat make its appearance. 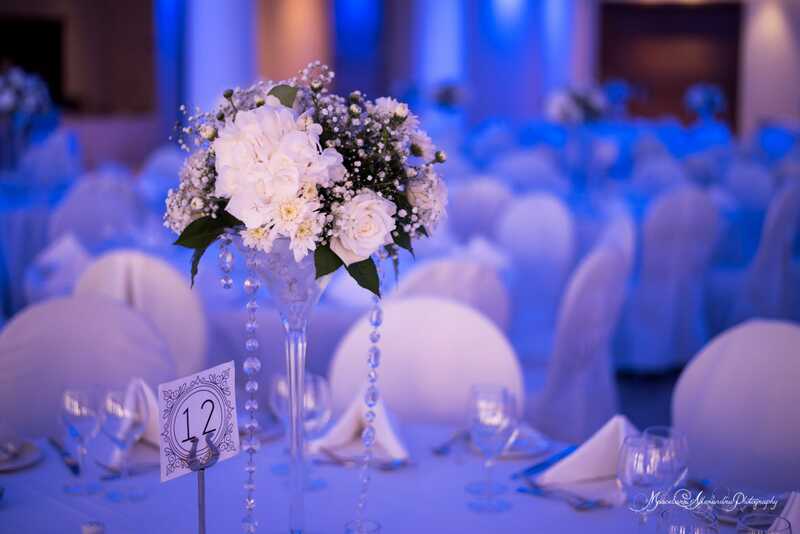 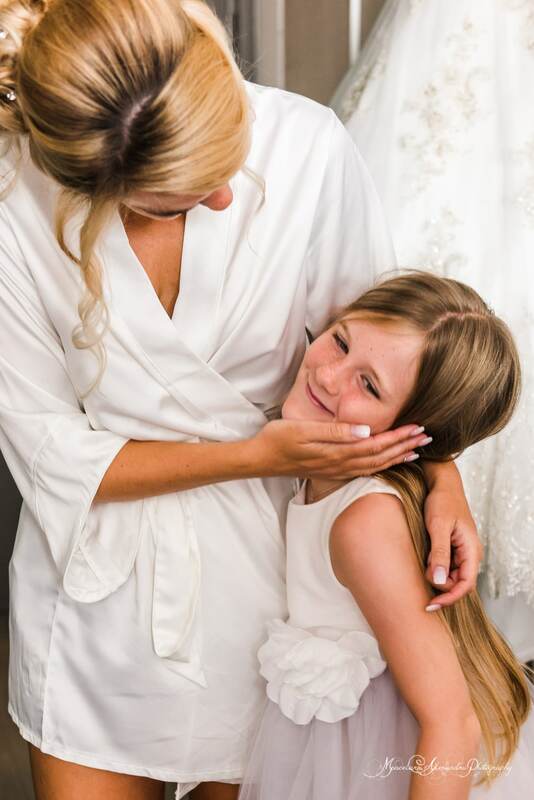 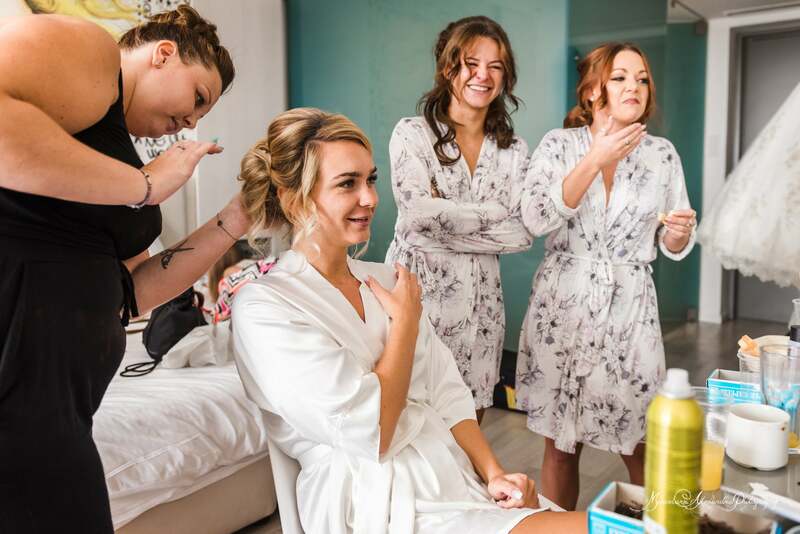 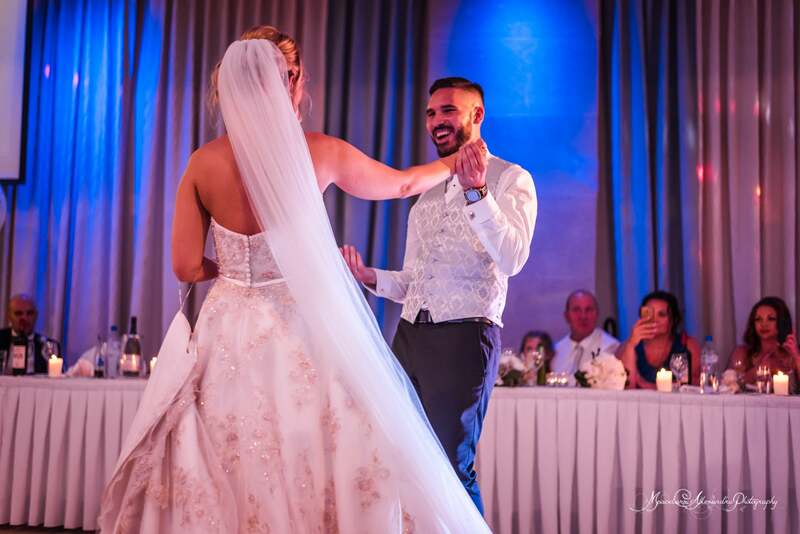 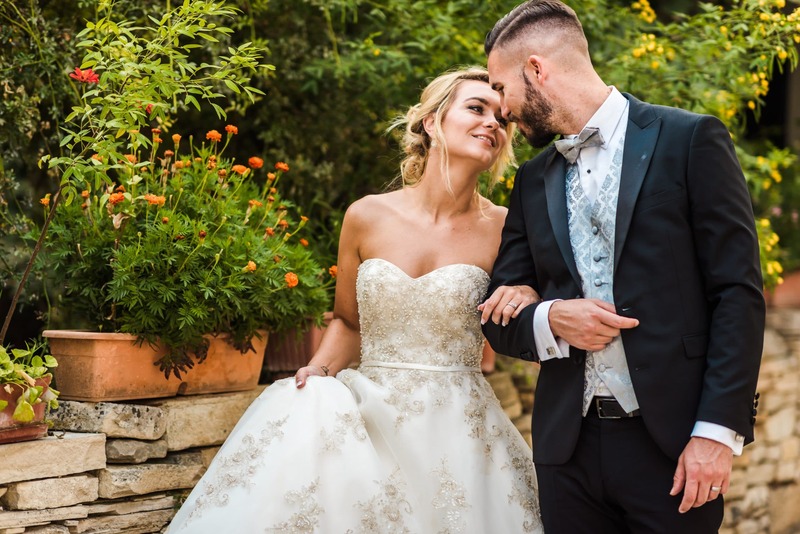 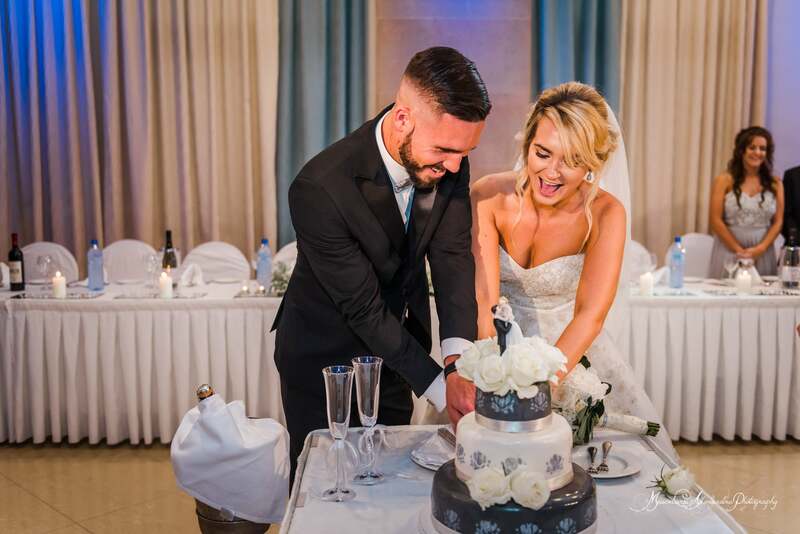 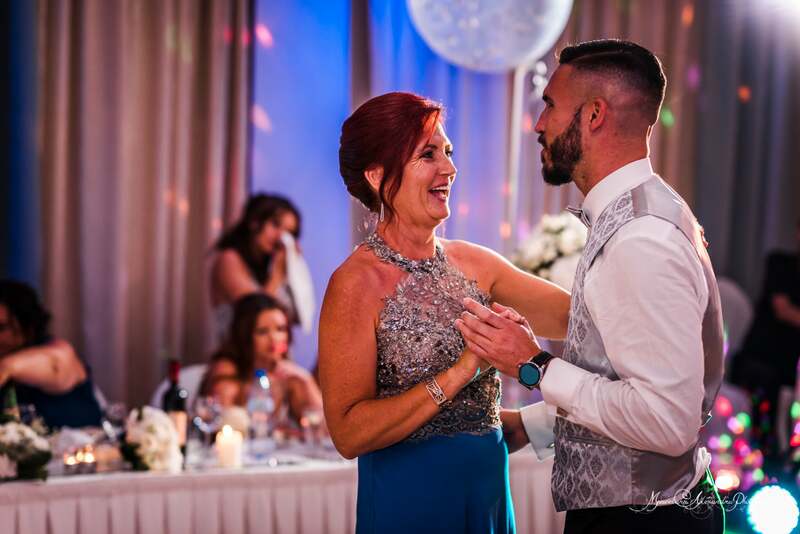 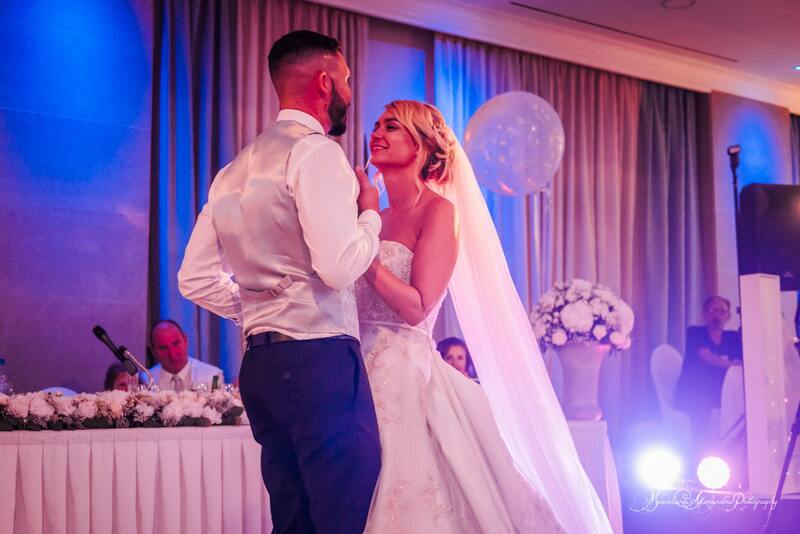 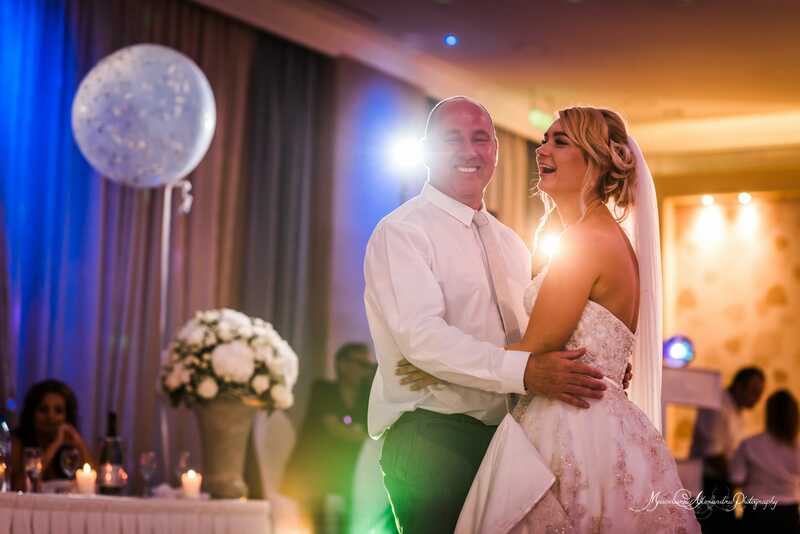 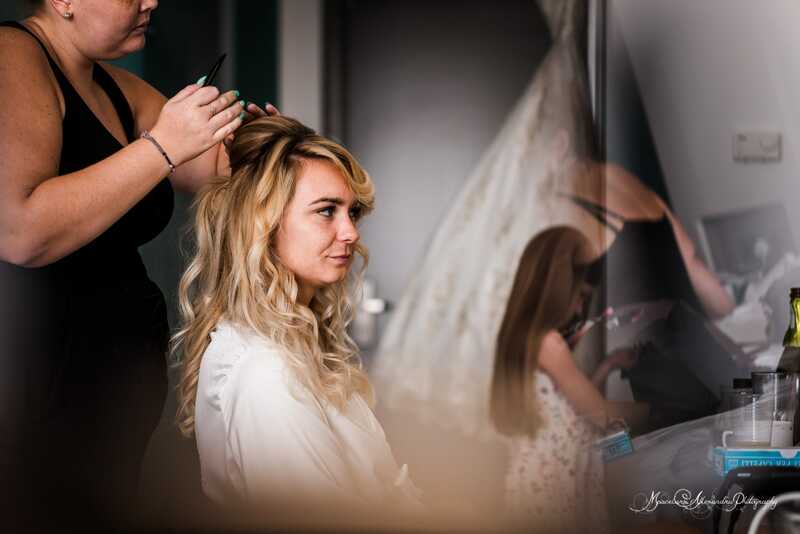 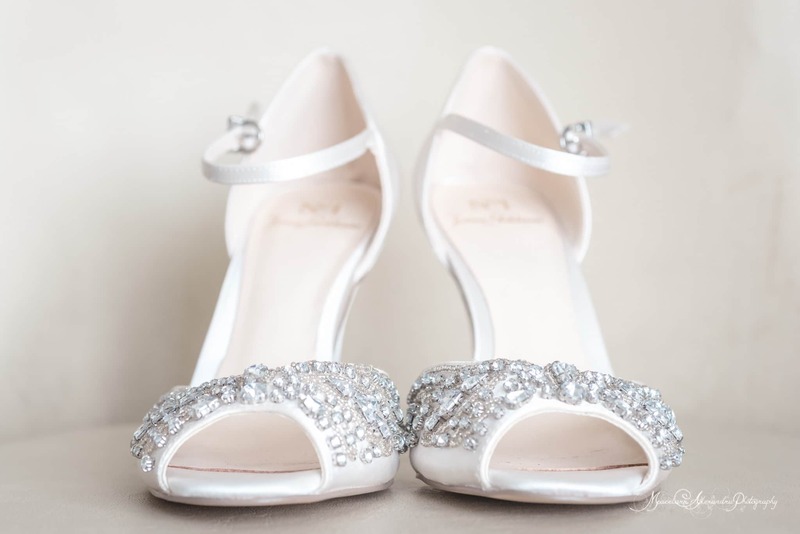 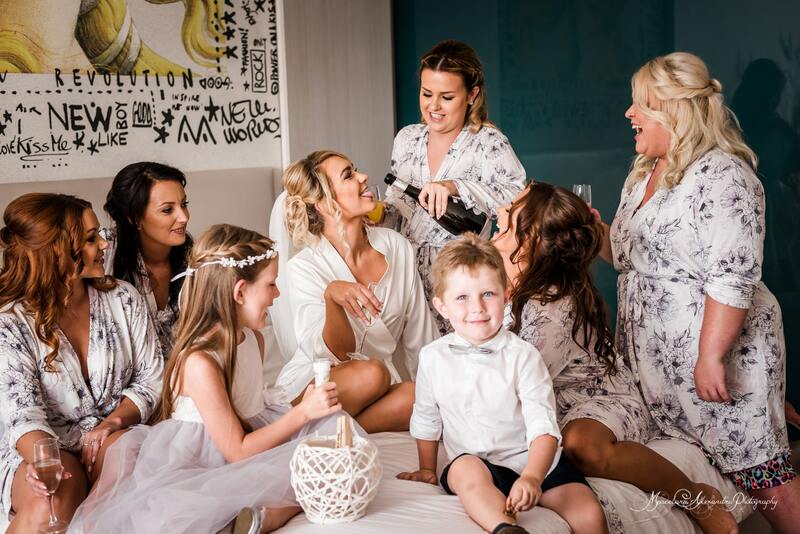 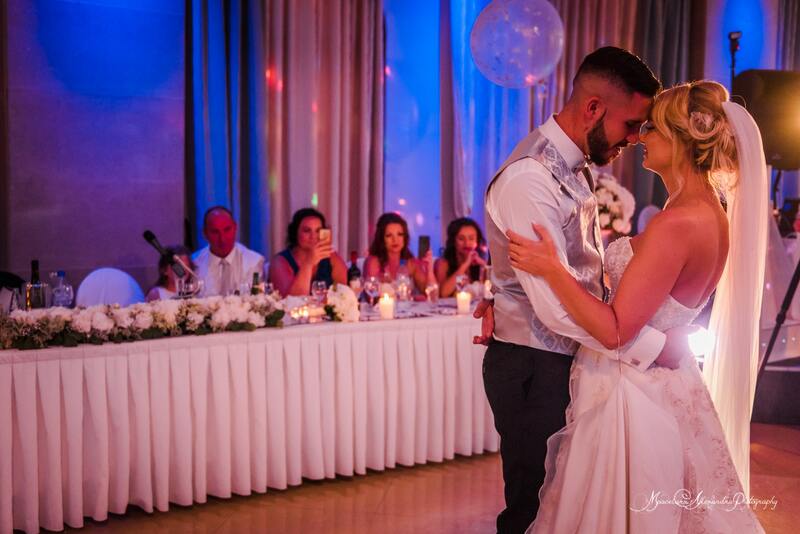 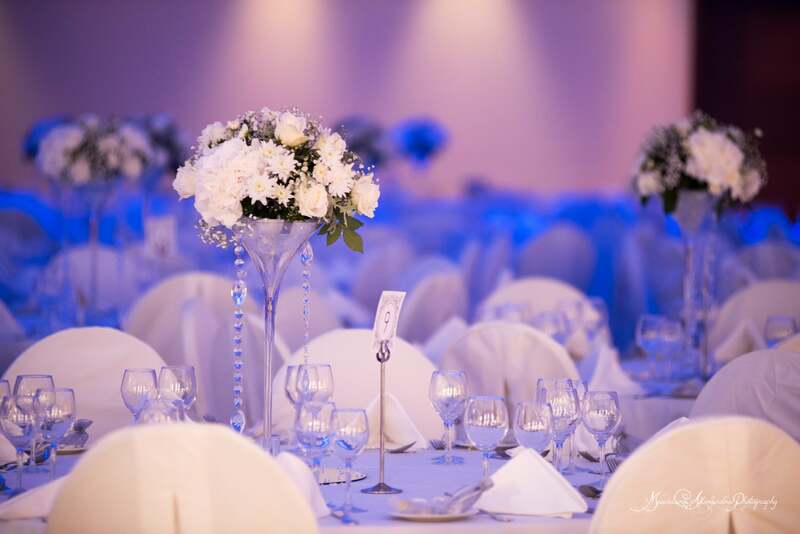 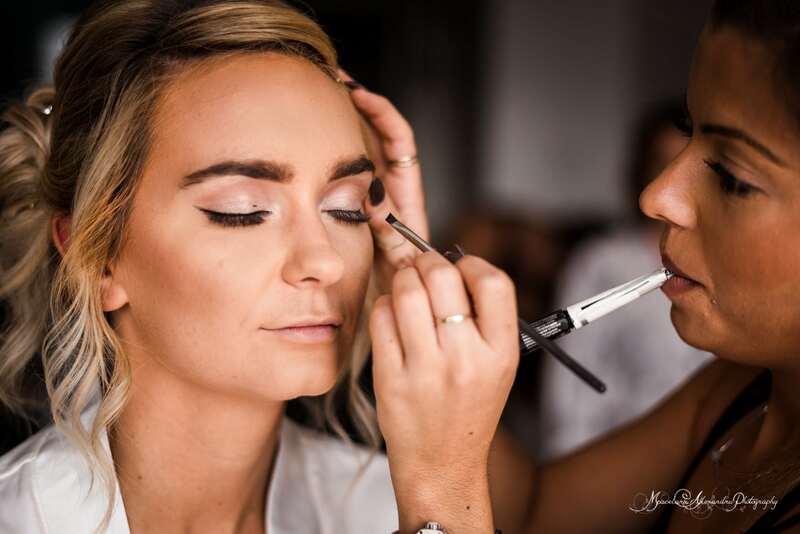 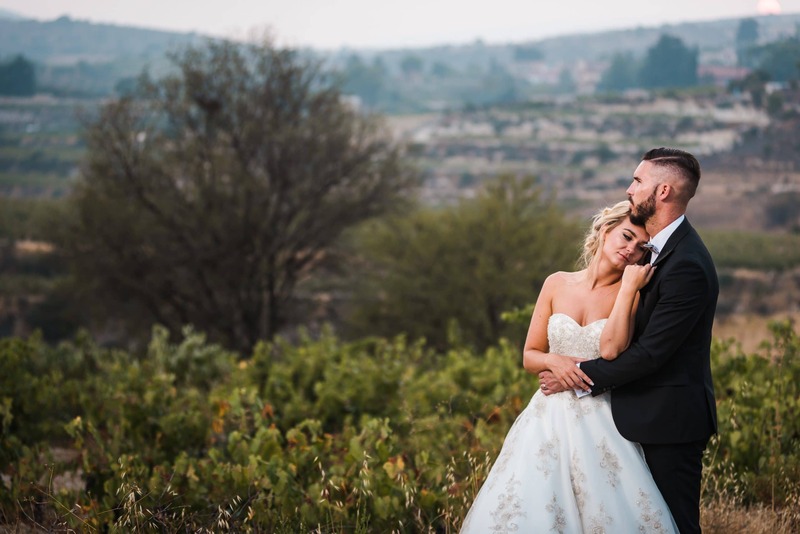 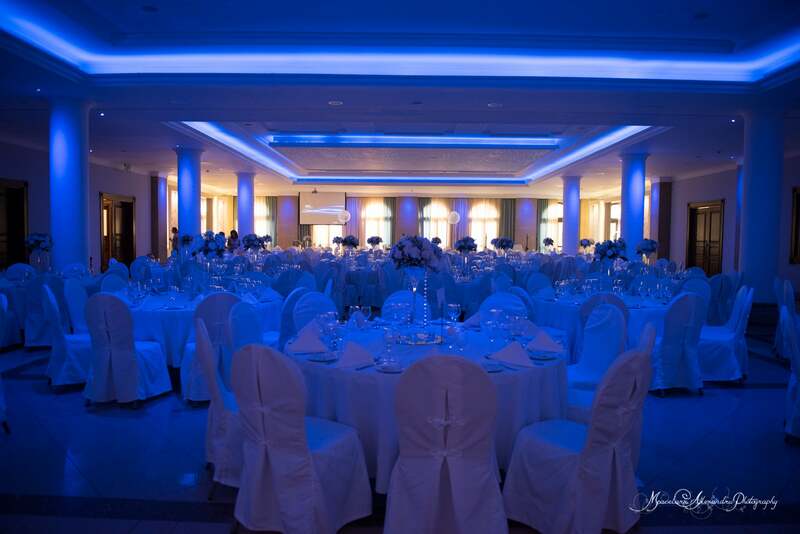 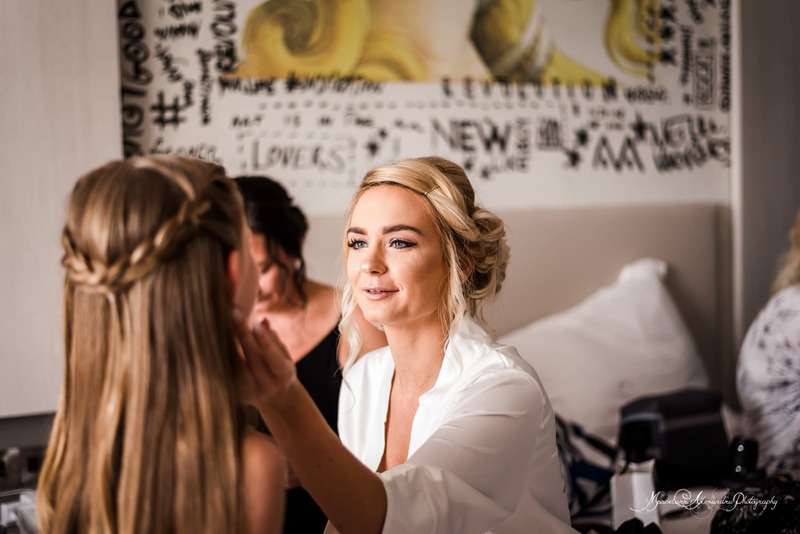 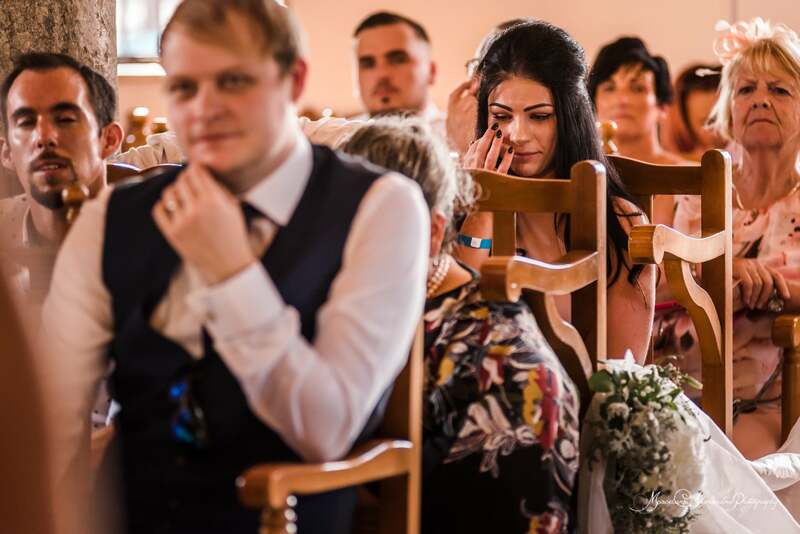 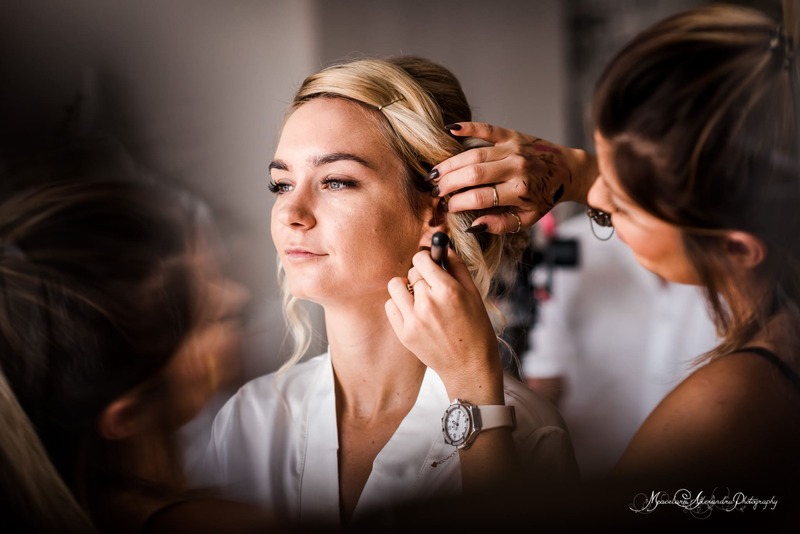 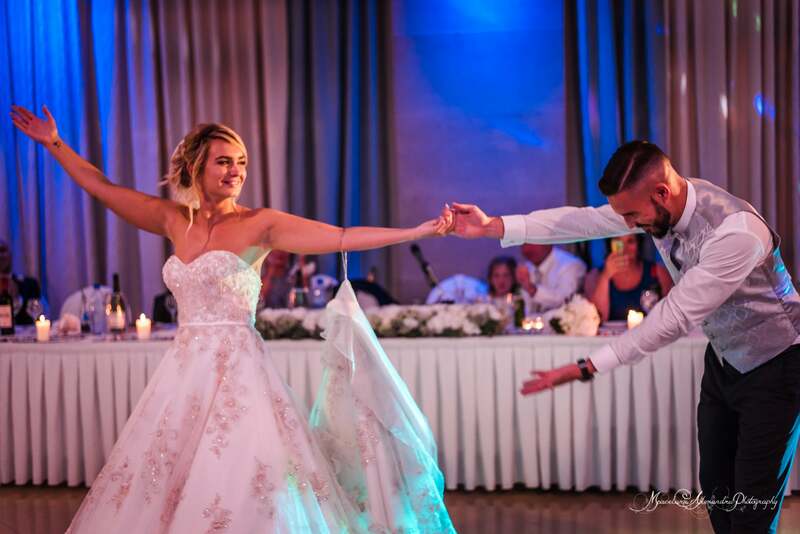 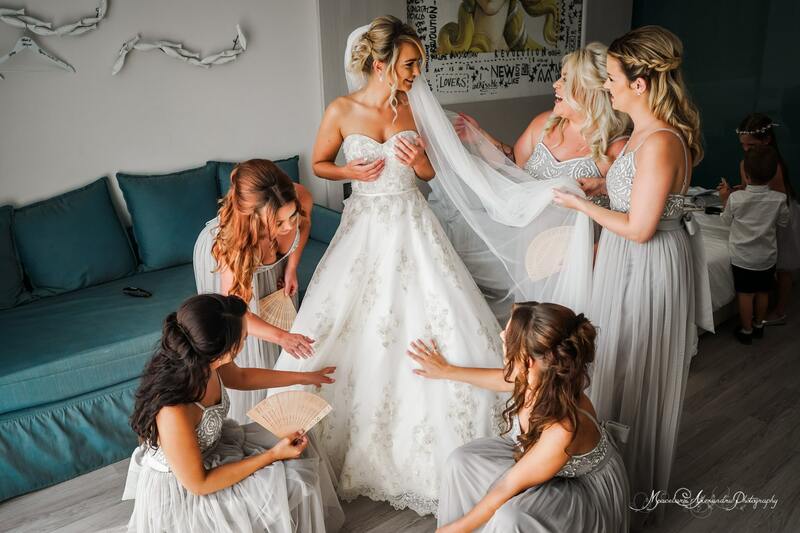 At the Aliathon Holiday Village, Amy was having the time of her life surrounded by friends and family the celebration already started, glasses of champagne and lots of laughter were dominating the room, in no time Amy was ready to meet the love of her life down the aisle. 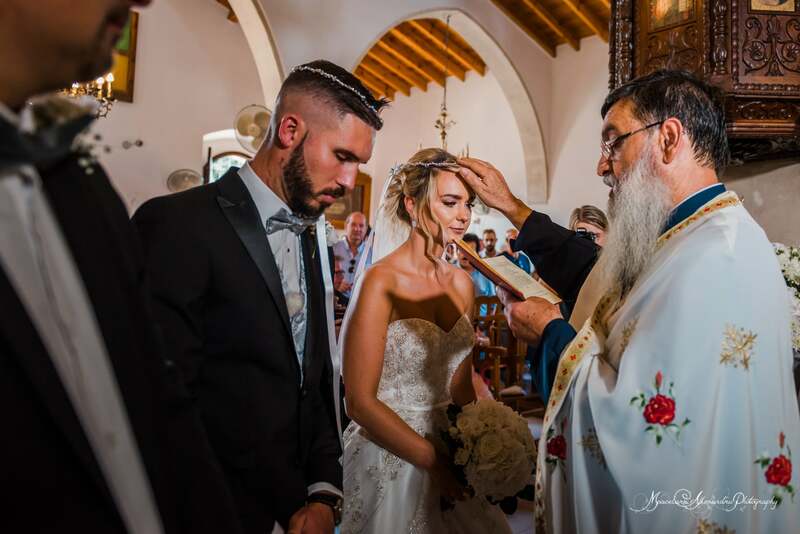 The religious ceremony took place at one of the oldest churches in Cyprus Agia Paraskevi in the village of Geroskipou, where Matt and all the guests were waiting for the bride, and finally there she was, Matt was mesmerized at the sight of his bride, a truly emotional moment that almost made me forget why I was there. 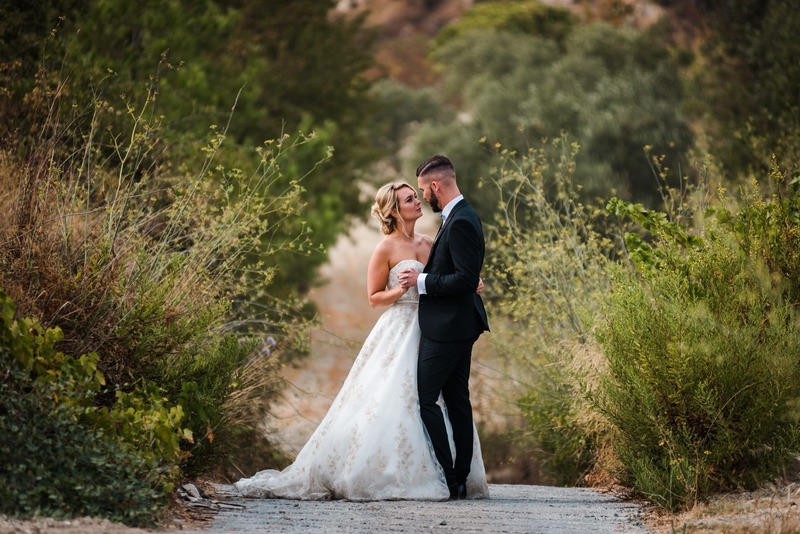 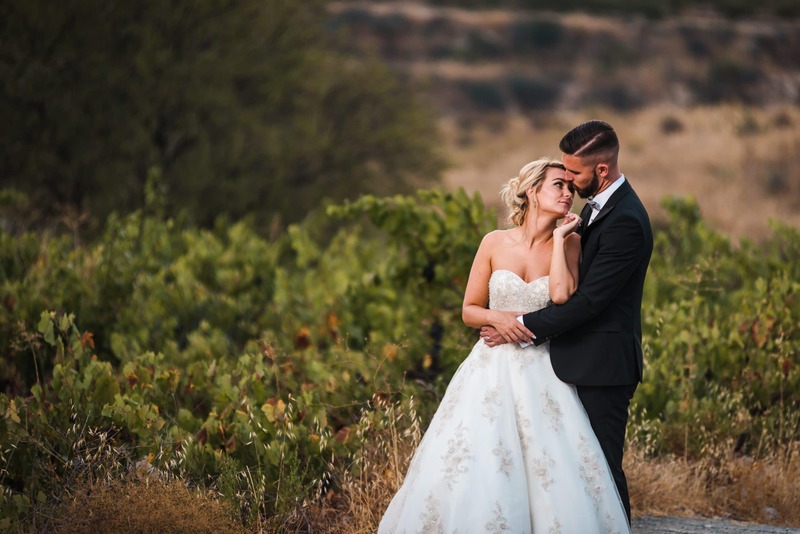 After a great wedding we spend all day with Amy and Matt in the beautiful mountains of Troodos, there is no better place in my opinion to create relaxed Fine-Art images in Cyprus, the picturesque village of Omodos and the majesty of the Troodos mountains really added that special touch to my images. 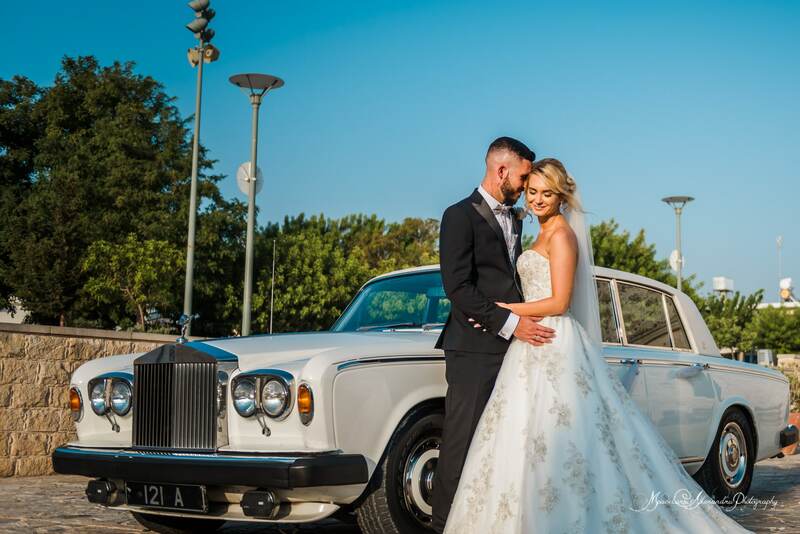 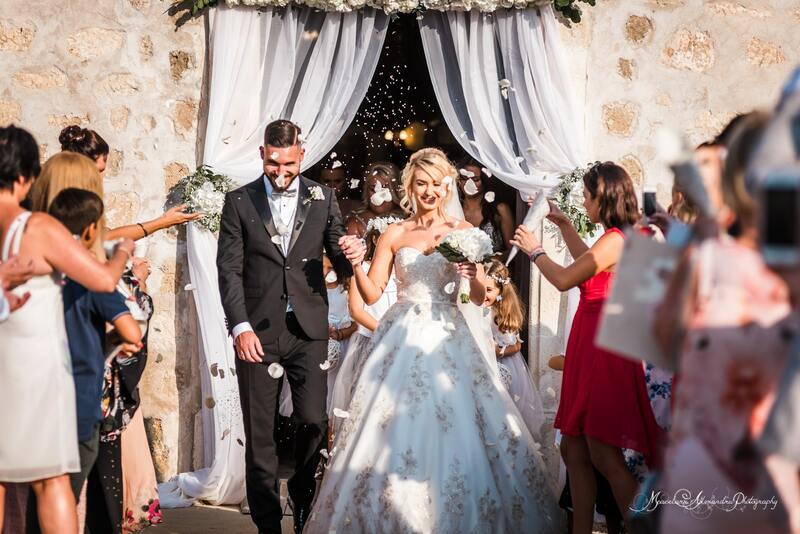 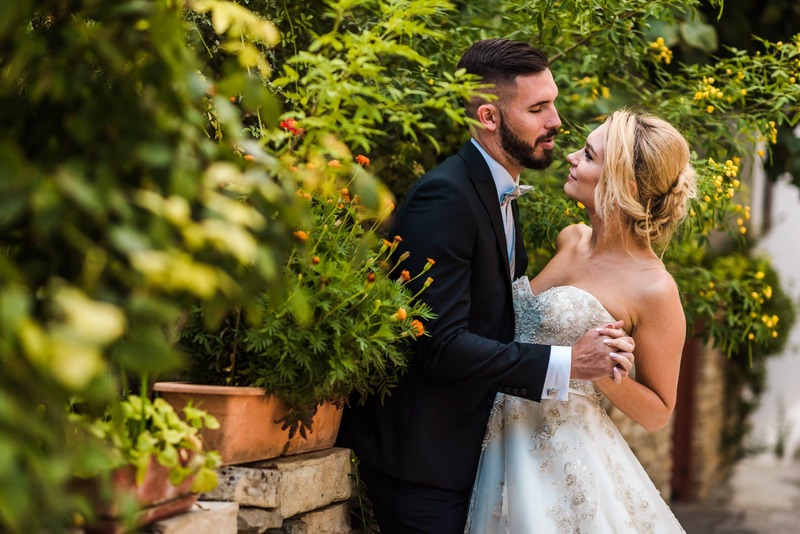 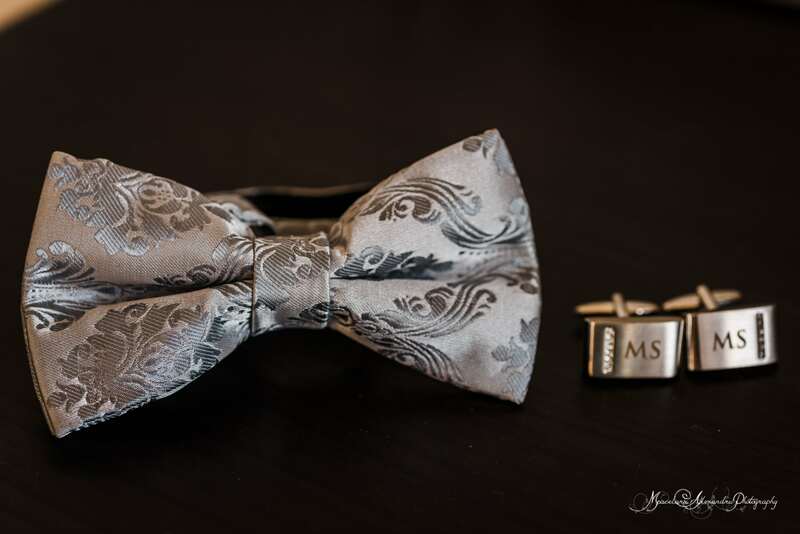 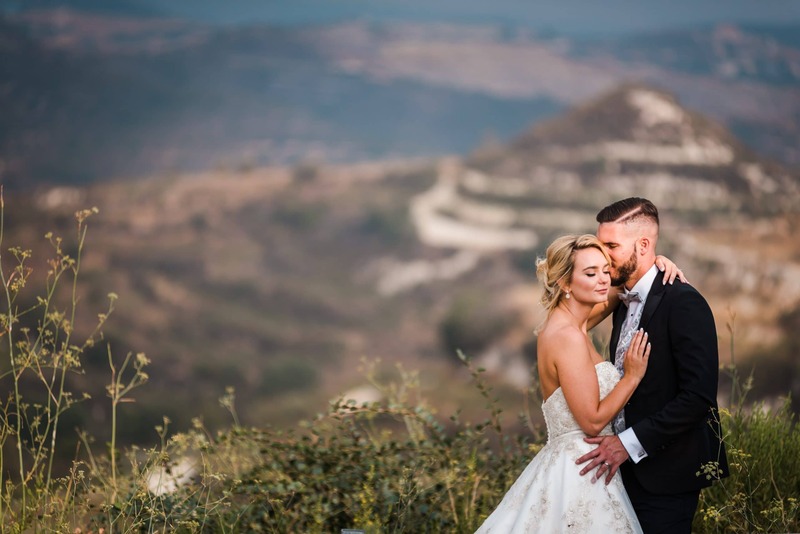 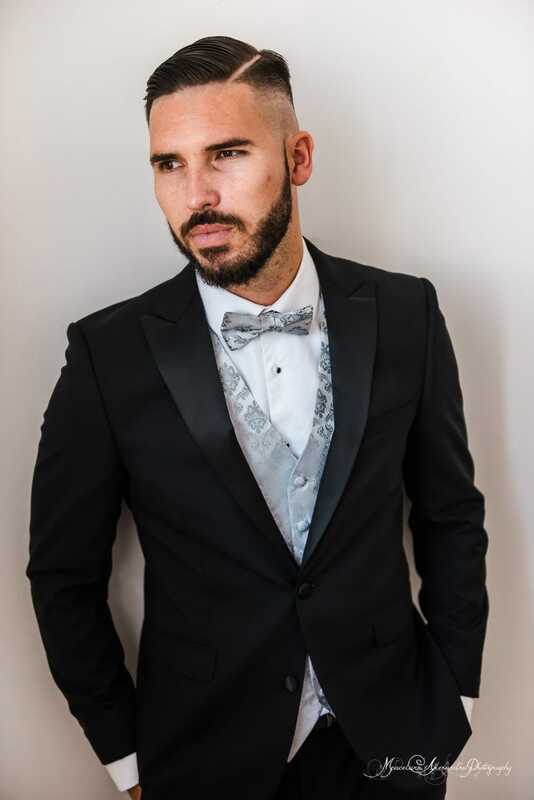 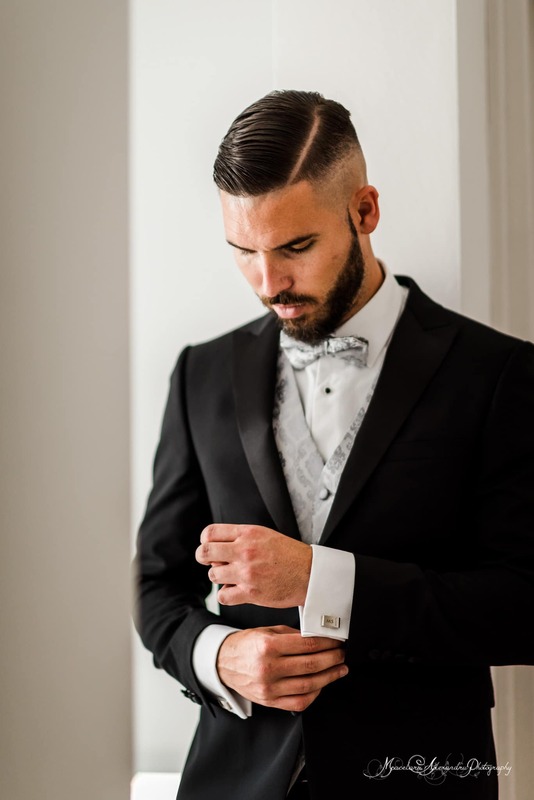 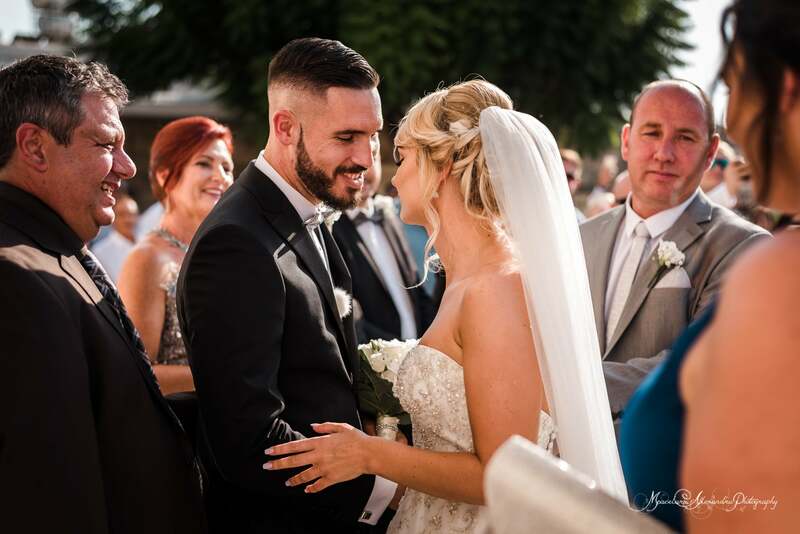 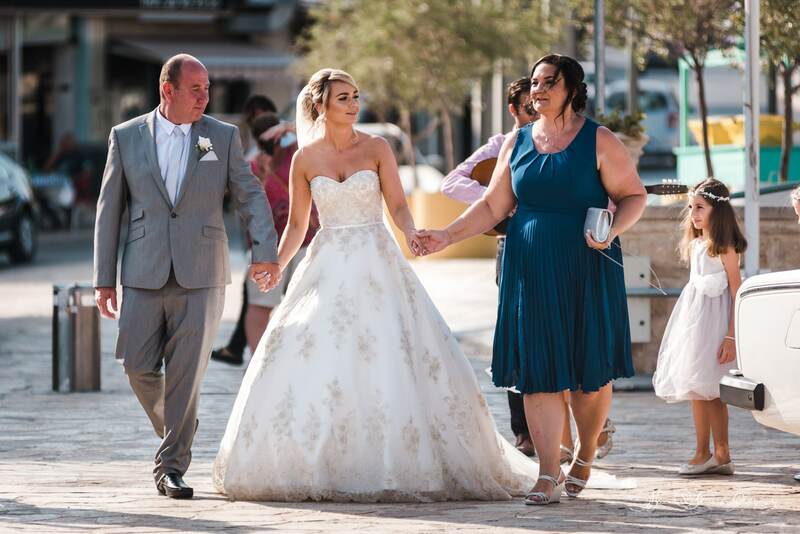 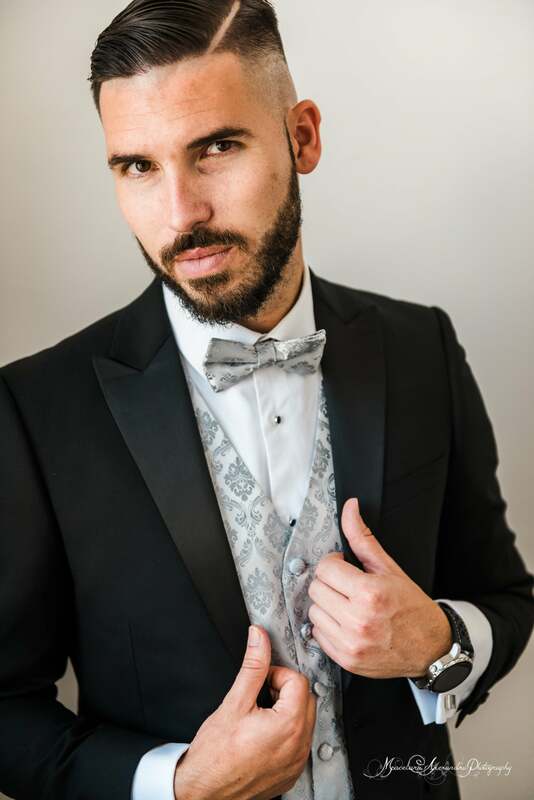 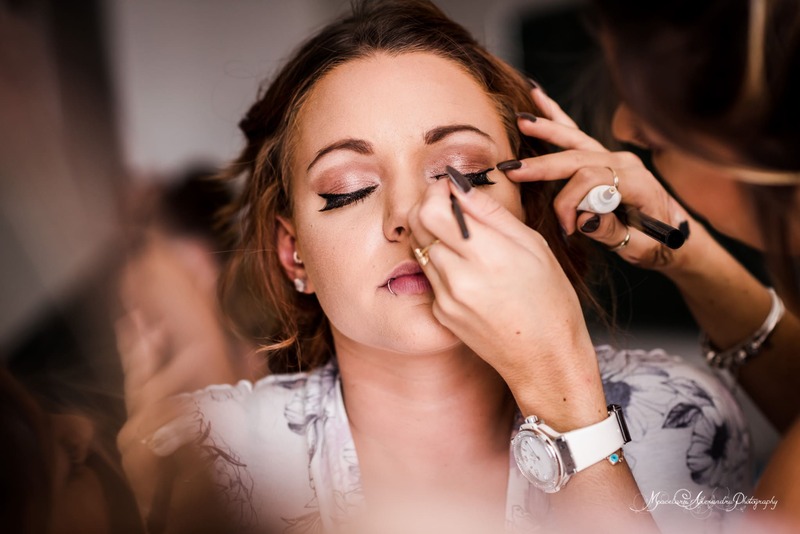 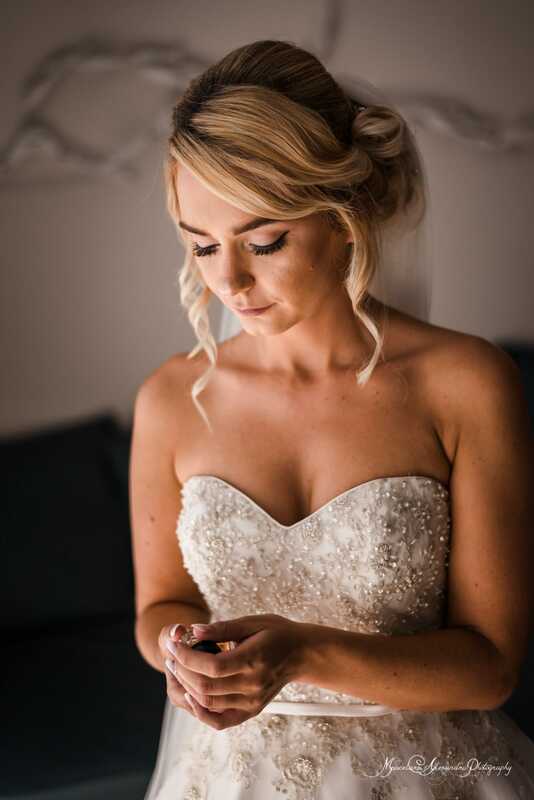 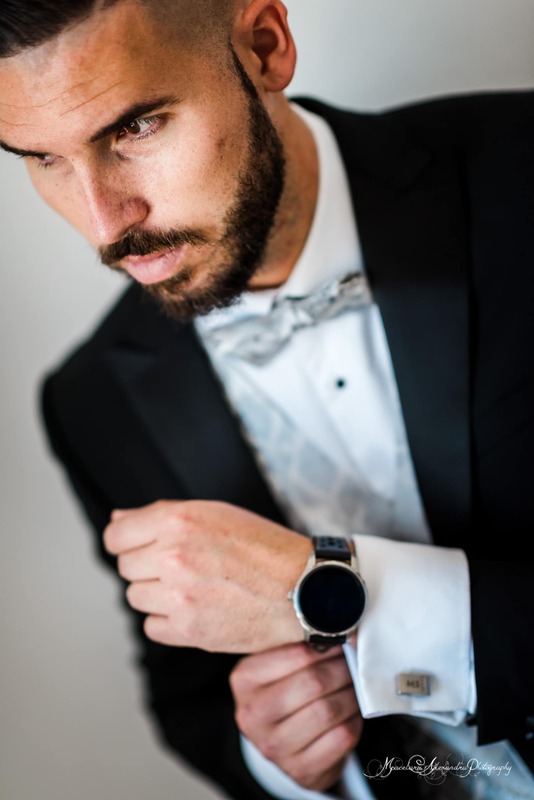 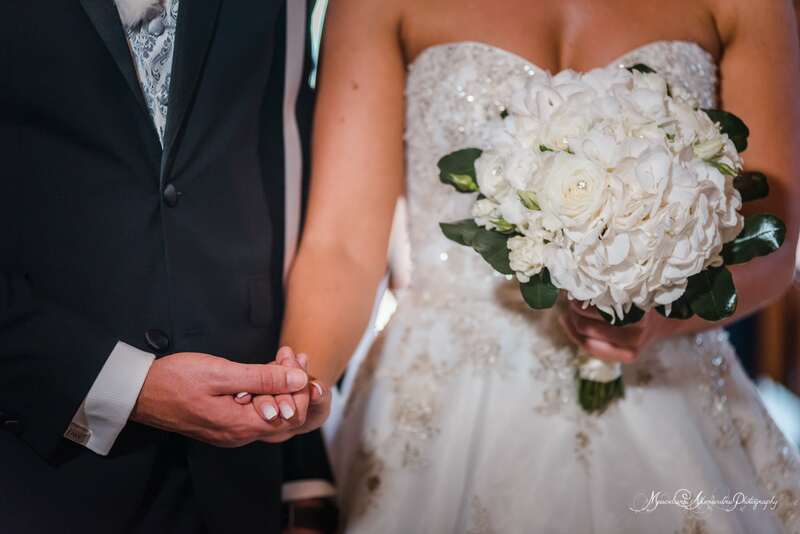 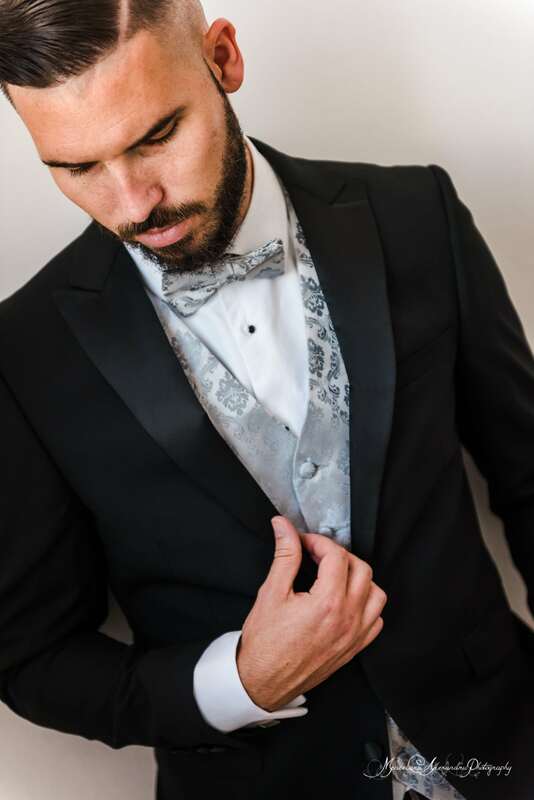 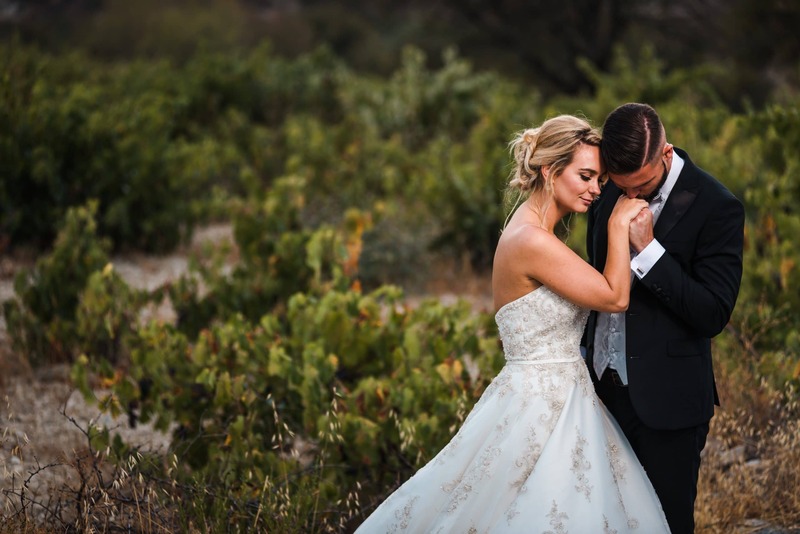 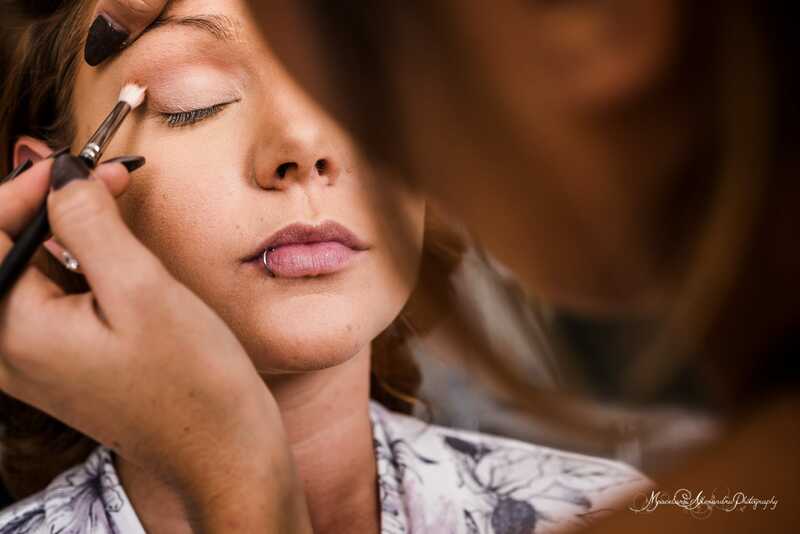 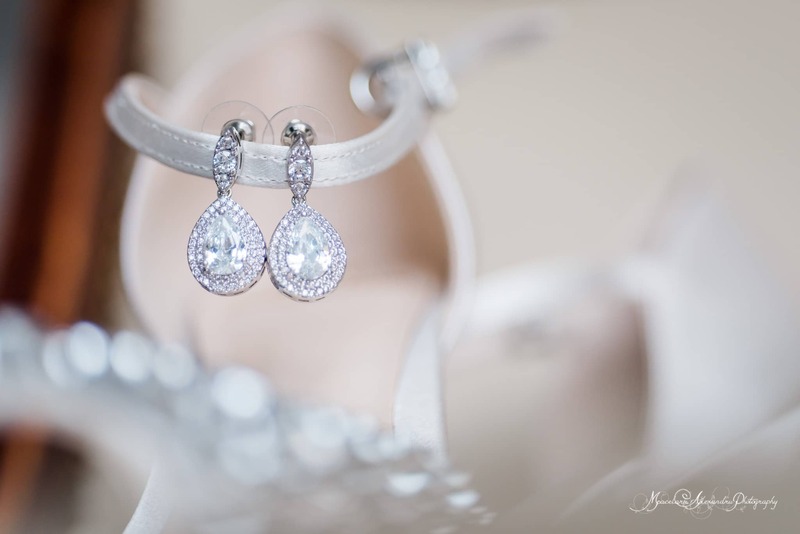 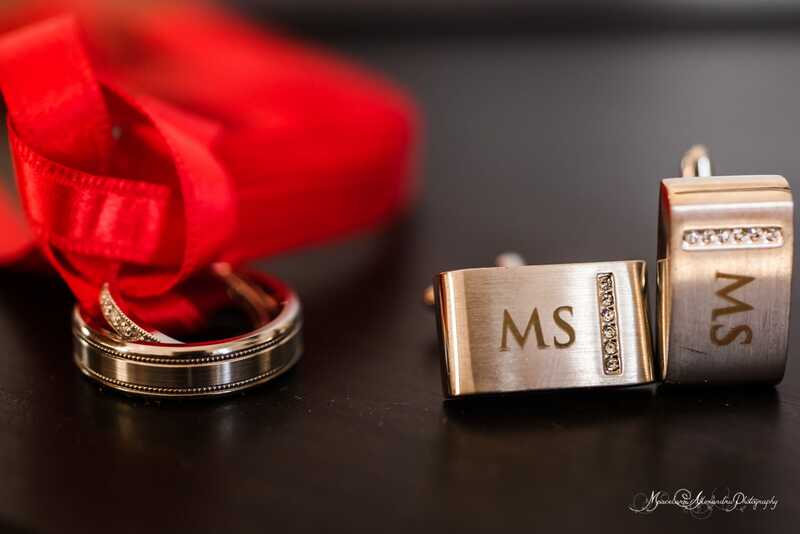 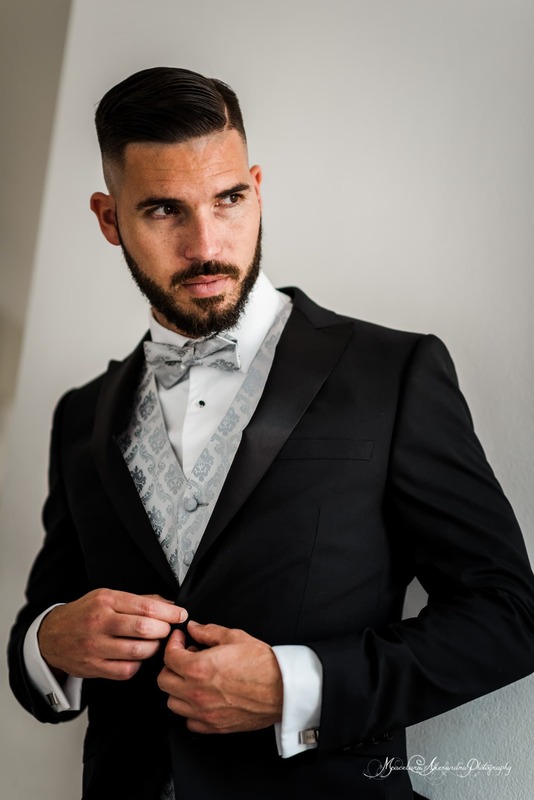 Overall the experience as a wedding photographer with Amy and Matt was amazing and this can be seen in the images that I have created, for more elegant wedding stories take a look at my collections and get in touch if you like to know more details about how to book your wedding photographer in Paphos.